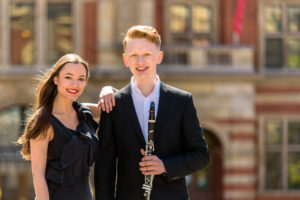 Piotr Dec and Edyta Lajdorf met at the Royal College of Music in London. Straight away they found a musical connection and decided to begin their collaboration. Their debut took place at Regent Hall on Friday September 30th at 1pm. Please check the Concerts page for more details about the concert and our future performances. Piotr Dec is a Bachelor of Music (Hons) scholar of the Royal College of Music in London (RCM), where he studies modern clarinet with Janet Hilton and Barnaby Robson, and classical clarinet with Prof. Colin Lawson CBE and Dr. Ingrid Pearson, generously supported by the Worshipful Company of Musicians. In 2015 Piotr made the world premiere of Satie’s Furniture Music at the Southbank Centre and performed Sir Arthur Somervell’s Clarinet Quintetat the ‘Exploring the Archive’ concert at the RCM. In the same year he received a scholarship to work with artists from the Vienna International Music Academy and Berlin Philharmonic Academy. Together with stunning soprano Jennifer Coleman, Piotr was in the final of National English Song Competition (2016). Piotr was the winner of the National Polish Clarinet Competition in Wroclaw (2013), and was also awarded second prize at the International Woodwind Competition in Wroclaw (2013) and International Clarinet Festival in Szczecin (2013). He has appeared playing solo in many well-known venues such as: Wroclaw Philharmonic, Wroclaw Radio and Television Concert Hall, St. John’s Smith Square, St Martin-in-the-Fields, St. George’s Hanover Square, Southbank Centre, St. James’s Piccadilly Church, Foundling Museum, Victoria and Albert Museum. Edyta Lajdorf was born in Poland. She is a Master of Music scholar of Guildhall School of Music and Drama, where she studies piano with prof. Paul Roberts and prof. Martin Roscoe, and harpsichord with prof. Carole Cerasi. Edyta has completed her Bachelor Degree at the Royal College of Music in London, where she was under the tutelage of prof. Gordon Fergus – Thompson for piano and prof. Jane Chapman for harpsichord. Edyta has recently received the Donemus prize in the Prix Annelie de Man in Amsterdam in the Netherlands (2015), second prize in the Valetta International Piano Competition in Malta (2014), been the finalist of the 1st International Piano Competition ‘Performance without limits’ in Lodz in Poland (2013) and won the WISE Foundation’s Outstanding Artist award in Boston in the United States (2012). Edyta has performed concerts internationally in the Czech Republic, United States, Netherlands, Malta and Poland and in the United Kingdom at venues such as Royal Albert Hall, Huddersfield Town Hall, St Martin-in-the-Fields, Regent Hall, Savile Club, Victoria and Albert Museum, Milton Court, Bridgewater Hall, Savile Club, the Royal College of Music, the Embassy of the Republic of Poland, St Mary Abbots Parish Church, Bush Hall and Toynbee Hall. Have you been looking for a piano teacher? 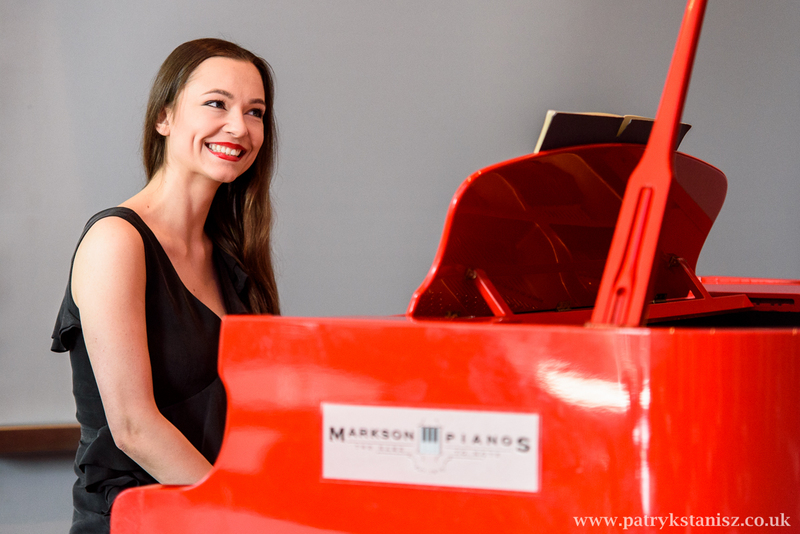 Edyta is available for private piano lessons in London. Please get in touch to find out more.